SMYRNA, Del. (WPVI) -- Police in Smyrna, Delaware are seeking to identify a female suspect in connection to a fraud investigation. 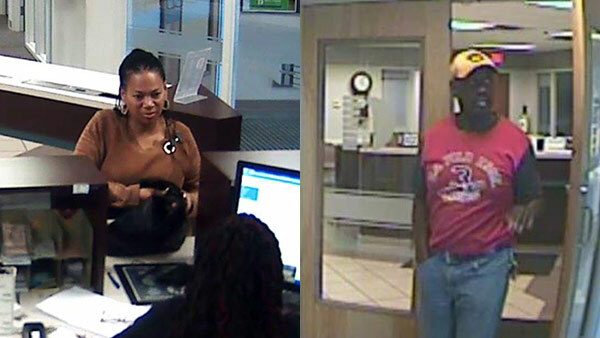 Police said on October 4, the woman seen in surveillance video entered the Dover Federal Credit Union. They said she persuaded a teller to override a denied cash advance on a credit card. The credit card was later found to be stolen. Police said the suspect provided a Nevada ID which identified her as Stella McCain. The suspect along with a man pictured in another surveillance video conducted a similar fraudulent transaction in Dover on October 2, according to police. Anyone with information is asked to contact Smyrna PD at 302-653-9217 attention Detective Eric Cooper.